There are three senior coaching positions in the Mountain Swim team. They are at Katoomba, Springwood and Glenbrook leisure centers. Below outlines the role of each of the senior coaches at their center. 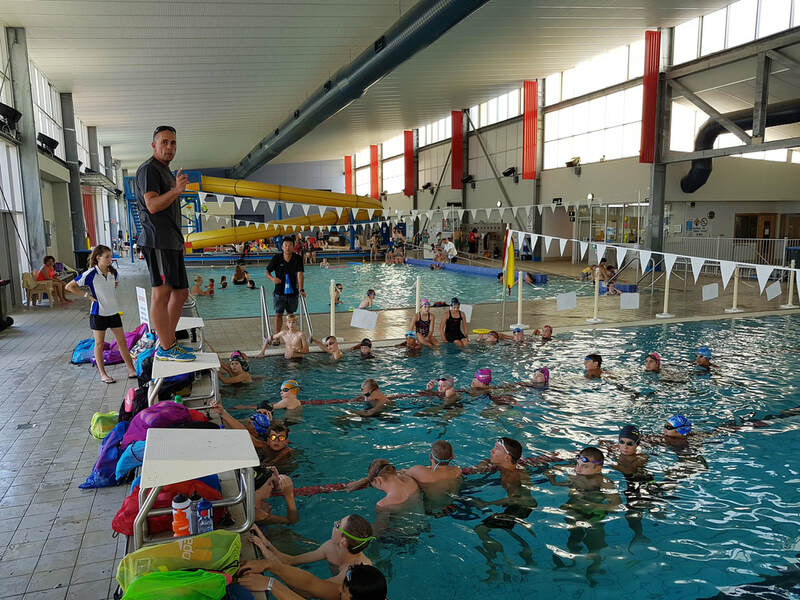 In this position the coach will have the opportunity to be a driving force for the squads and local swimming club and be able to create and work with their own team of athletes. Mountain Swim has a high variety of swimming programs from new swimmers, to adults, to national level athletes. The senior coach is responsible for overseeing the program and swimming coaching services at their main pool. The coach will have a high degree of autonomy and can run the program they wish to within the Mountain Swim structure. This includes planning for and coaching swimmers from squids/mini squad through to silver squad level. They will also have assistant coaches to help them at certain sessions.The coach may also be working at some of the other Blue Mountains Leisure centers. This is a long term position in which the coach will need commitment to develop their coaching and swimming team. Mountain Swim offers a number of training and support options to assist new coaches to become confident and familiar with coaching their team. When coaches first begin they will have other coaches with them to help out and assist. We can organise our local swimming development officer to come in and work with the coach on a regular basis providing advice and mentoring. It is also possible for coaches to move around to other sessions when they are free to do some shadow coaching with other coaches. - Creating swimming programs for their squads that develop competitive swimmers. Coaches need to have programs pre-written before each session they are coaching at. - Coaching squad sessions as per their roster. - Progressing swimmers through squad levels when they are ready. - Guiding assistant coaches during sessions. - Attending club nights and targeted swimming carnivals. 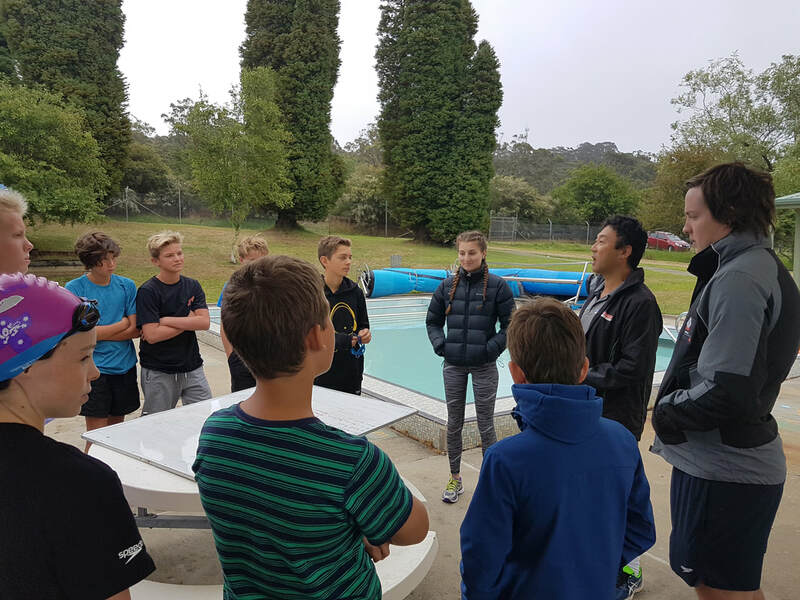 - The senior coach is also responsible for progressing swimmers from silver level into the performance squad which is coached by the performance coach. It may be possible for ​coaching qualifications to be acquired during the first few weeks of starting as a coach. If this is the case the new coach will be working beside another coach to become familiar with the swimmers and program until they are qualified and capable of taking over as the senior coach. The coach is responsible for keeping all qualifications up to date and needs to submit any updates to their qualifications upon completion. This position requires a long term coach that is committed to building and coaching a team over a number of years. The coach needs to get involved with their team and engage with all swimmers of all levels. The coach needs to go to club nights and swimming carnivals and integrate these into their programs. - Must be able to build a good rapport with children of all ages. - Must be able to create swimming programs that are suitable and effective for squad levels up to silver level. - Must be able to be a leader for the squads and be able to grow and develop them alongside the coaching team. - Must be able to effectively and positively communicate with assistant coaches. - Must be able to effectively and positively communicate with parents. The coach should already have a modest level of computer skills. Mountain swim uses gmail, google drive and other programs. The coach needs to have availability in the mornings and afternoons during weekdays. Actual session times will vary as per the timetable that can be found on this website. Generally, sessions will begin at 5.30 (6) to 7.30 am in the mornings and 4-6.30 (7)pm in the afternoons. The coach also needs to be available on Saturday mornings. In winter season club nights for all pools are on at Springwood and Katoomba on Thursday nights at 7-8pm. Coaches also need availability to attend targeted carnivals. A list of these can be found on this website. This position is a casual position. Wages start at $27/hour. Wages are paid fortnightly. Wages are for timetabled coaching hours. Mountain Swim also offers some admin hours to support coaches as we are aware that there are things to do outside of pool deck coaching. Admin hours are paid at $15/hour. Admin can be done at home if wished (except club night attendance). Senior coaches can also claim fortnightly administration hours and for approved projects. - 1 hour each week (each fortnight in winter season) for attending club nights. - 1 hour each fortnight for emailing and communication. - 1 hour each week for programming and any other admin necessary. Approved projects need to be organised beforehand and might include things such as running a swimming camp or replacing equipment etc. When submitting an application for a project the coach should include: purpose and estimated hours for completion. Coaches are required to attend targeted carnivals. Most carnivals are paid events. Occasionally a coach may be need to assist as a volunteer for one or two carnivals each year. Carnival wages are paid as a single payment at $130/day, ($60/half day). Wages can be reviewed based on performance, duration of coaching, qualifications.